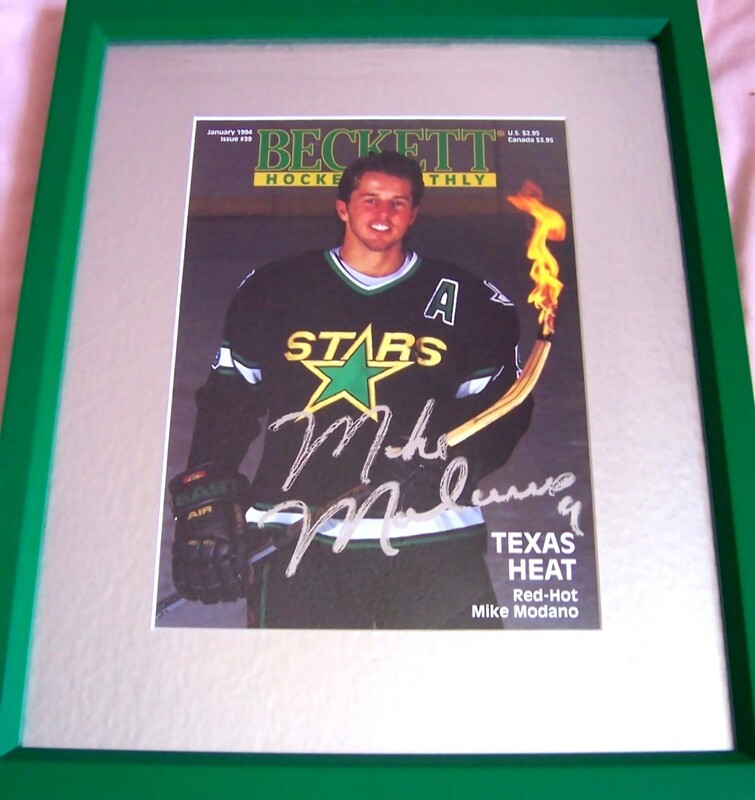 Beckett Hockey magazine cover autographed in thick silver paint (minor streaking) by former Dallas Stars superstar Mike Modano, professionally matted in silver and framed in green, ready to hang. ONLY ONE AVAILABLE FOR SALE. With certificate of authenticity from AutographsForSale.com.